From Finland by way of Kosovo, as well as the UK, Israel, Nigeria, Sweden, Spain, and the United States, the writers of our rights roundup are producing thrillers, politically tinged literary fiction, memoir, comedic drama and, of course, children’s stories. 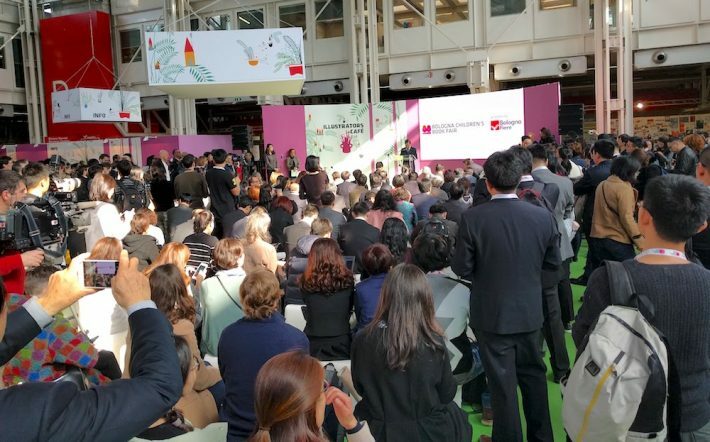 With Bologna International Children’s Book Fair in full sway, we can do no less than bow to Signore Greg Heffley, the kid of Jeff Kinney’s remarkably successful Diary of a Wimpy Kid series—and let that amazing property lead our rights roundup. 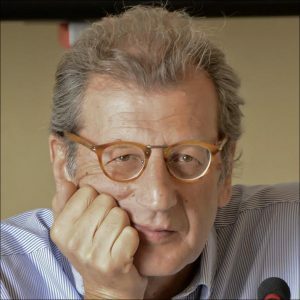 Already available in 56 translations, 65 editions, and with 200 million copies sold worldwide, the series was announced on Monday (March 26) to have been translated by Francesco Durante into Neopolitan as ‘O Diario ‘e nu Maccarone. The new edition is to be released on May 10 during Torino’s annual book fair, the Salone Internazionale del Libro (May 10 to 19). To the south, Naples is to throw a day of special events, too, to welcome one of the world’s most reliable children’s-book juggernauts. Paola Malgrati (with whom we spoke last year) made the announcement from the independent publisher Il Castore—Stand A31 in Pavilion 25 at Bologna—and she points out that Neopolitan is recognized by UNESCO as an endangered language (not a dialect) in a world of increasingly homogenized vocabularies. 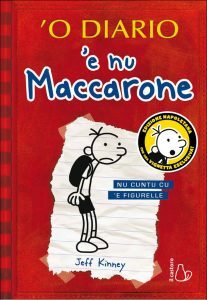 Wimpy Kid, then, becomes part of a project in which literary works are being translated into Neopolitan to try to capture its nature and nuances permanently. Also of interest: Naples is only the world’s fifth city for residents of Neopolitan origin. The first is São Paolo, followed by Buenos Aires, Rio, and Sidney. So, with the Kid already translated into Latin and Italian and now sounding like a scugnizzo in Naples, we’re ready to turn to more news of springtime rights successes. As always, we appreciate agents and rights directors providing us with their deals information, and we’ll put together more rights roundups with more deals going forward. Once again, it’s the promotional copy supplied to us by agents and rights directors we’re editing here to give you an idea about a book’s nature and tone. And if you’d like to submit a deal to Publishing Perspectives, see the instructions at the end of this article. Arto Halonen is a film director and screenwriter known for socially relevant work. Kevin Frazier is a novelist, essayist, and critic. The two men have collaborated before, on Shadow of the Holy Book. 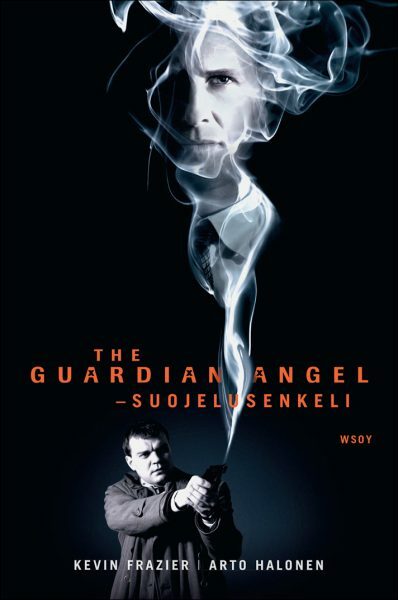 A film treatment of The Guardian Angel is to be released this year features Pilou Asback (Game of Thrones), Josh Lucas (A Beautiful Mind), and Rade Serbedzija (Downton Abbey). Film distribution is said to be set for France, Denmark, Finland, Croatia, Serbia, Slovenia, Bosnia-Herzegovina, Macedonia, Poland, India, China, Japan, South Korea, and the Middle East. In 1951, Palle Hardrup, a former Nazi collaborator recently released from prison, walks into a bank in Copenhagen, demands money, shoots two employees dead, and is apprehended. But what’s left is a curious case in which Hardrup may have been operating under hypnosis. Reportedly, the thriller is based on a true incident. 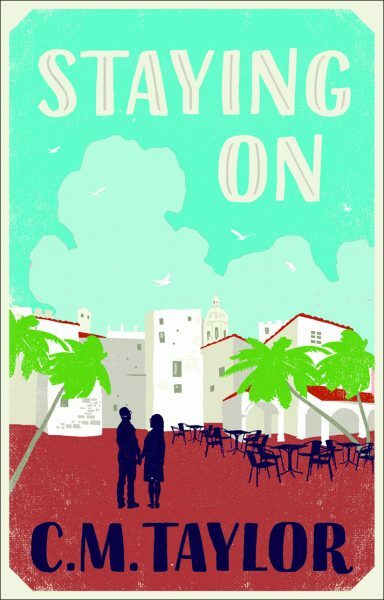 Scheduled to be published in July, Staying On is described as a comedy-drama about an expatriate family crushed by bereavement, while struggling with the consequences of Brexit. The author, Craig Taylor, is an associate lecturer at Oxford International Center for Publishing Studies and is the author of Premiership Psycho and Group of Death, both published by Corsair. 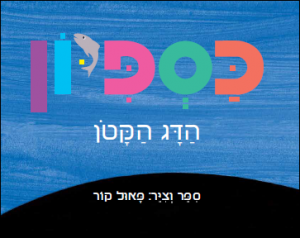 Kaspion the Little Fish is an Israeli classic for children, originally published in 1990, Associated titles are Kaspion, Beware and Kaspion’s Great Adventure. Kaspion, who is also known as “Flash” in English, has shiny shades of silver and “dashes through the waves lie a streak of lightning,” according to promotional copy for the book. 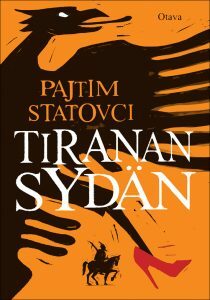 A winner of Finland’s Toisinkoinen Literature Prize, Pajtim Statovci’s story is set in post-Communist Albania, where life is “akin to imprisonment for the inseparable young friends Bujar and Agim. While Bujar struggles to come to terms with the loss of his father, Agim is facing new realizations about his gender, sexuality, and feelings for Bujar. Kosovo-born Patjtim Statovci‘s first book is My Cat Yugoslavia. 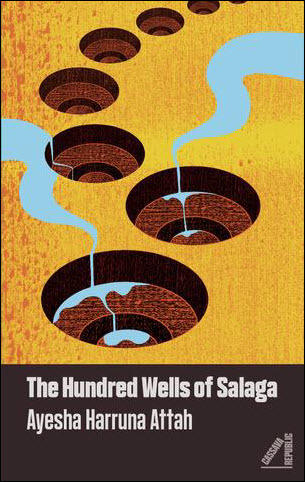 “A novel set in pre-colonial Ghana, The Hundred Wells of Salaga is told from the perspective of two courageous women from two different tribes. It looks at how their lives and fates are affected by the slave trade in the region at the end of the 19th century. Salaga is the city in which the biggest slave trade market in pre-colonial Ghana was located. 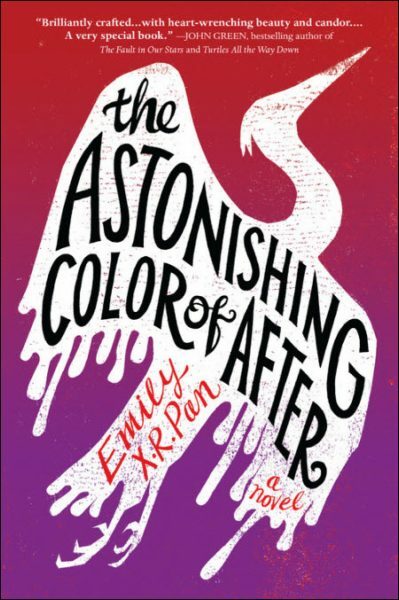 “A heartbreaking debut novel about grief, love, and family,” The Astonishing Color of After is said to be especially apt for fans of Jandy Nelson and Celeste Ng. In the book, Leigh Chen Sanders is absolutely certain about one thing: When her mother committed suicide, she turned into a bird. Leigh, who is half-Asian and half-white, travels to Taiwan to meet her maternal grandparents for the first time. There, she’s determined to find her mother, the bird. In her search, she winds up chasing after ghosts, uncovering family secrets, and forging a new relationship with her grandparents. And as she grieves, she must try to reconcile the fact that on the same day she kissed her best friend and longtime secret crush, Axel, her mother was taking her own life. 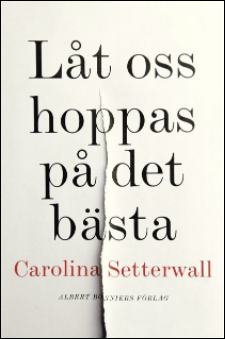 Debut writer Carolina Setterwall tells the story of falling in love with the complicated and irresistible Aksel–the longing, pain, and triumph of hobbling together a relationship and a life in the throws of high-speed urban life. Interspliced with these intoxicating musings are the excruciating months after finding Aksel dead in bed one morning and, as a 36-year-old widow and single mother, putting the pieces of herself and her life back together again. Told in interweaving narratives that count down to one volcanic moment, Let’s Us Hope For The Best sold in 16 territories within two weeks of submission. 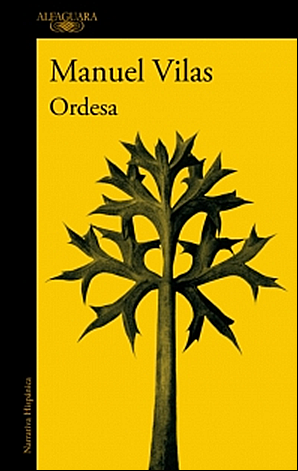 Ordesa, which takes its name from the small Spanish town below the Pyrenees, is the autobiographical novel of a 50-year-old ordinary man returning to the place he was born. It’s also where his parents recently ahve died of cancer. “Facing a divorce, his apathetic children, his decision to go sober, and a waning career, the ghosts of his family besiege him but also bring him love and light. Out of helplessness and dispair, he writes this chronicle, this hommage, this memoir of his family that’s his but could be anyone’s: grandparents whose photos were never taken and whose funerals were never attended, parents with their contagious idiosyncrasies and an inability to physically manifest their love for their kin. More of Publishing Perspectives’ rights roundups are here.